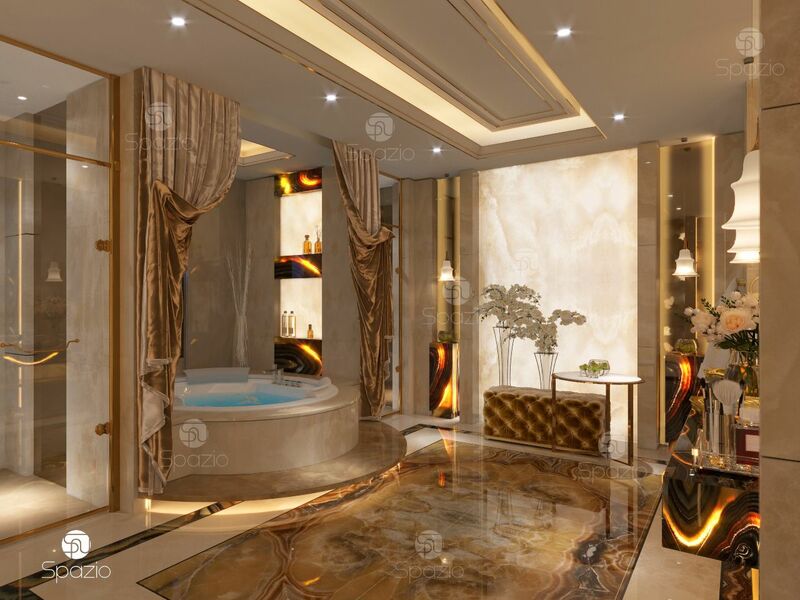 A master bathroom interior design is very important in a house. It should be luxurious and comfortable. 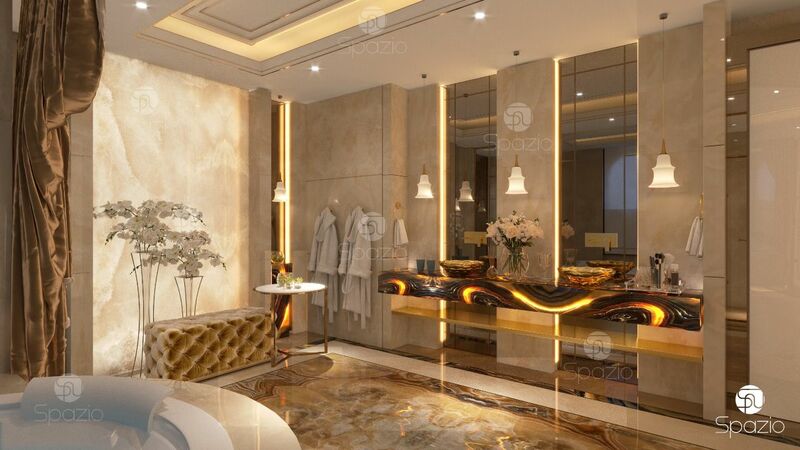 Modern technologies of 2019 allow to make a great solution that make this room impressive and very convenient to use. 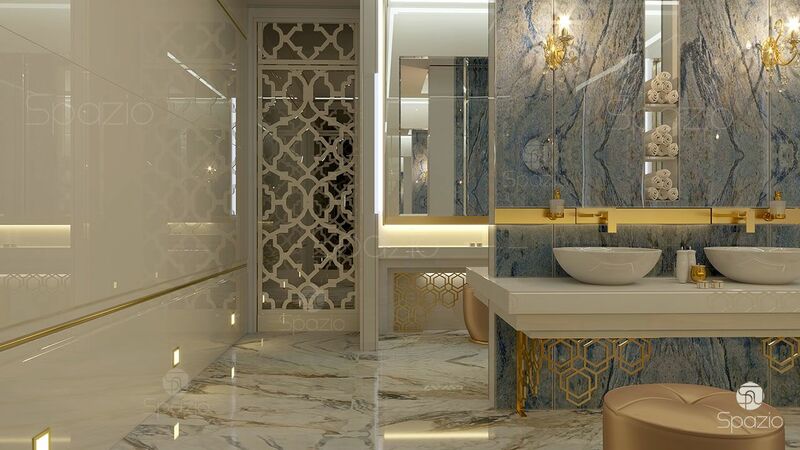 The bathroom Interior will be harmoniously realized by designers of Spazio. 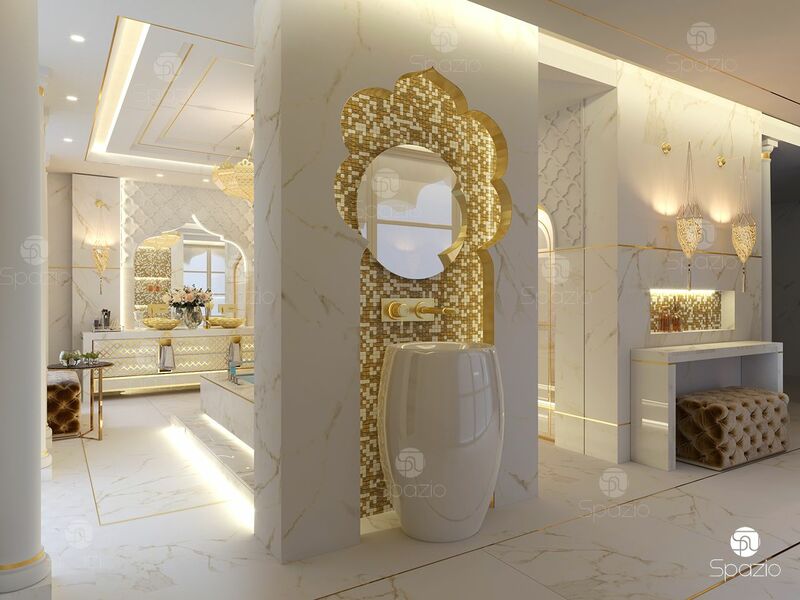 Virtuosly combining modern technical innovations with classical traditions, the our designers create magnificent bathroom interiors, which use the best materials, picturesque panels, exquisite furniture for luxury bathroom. 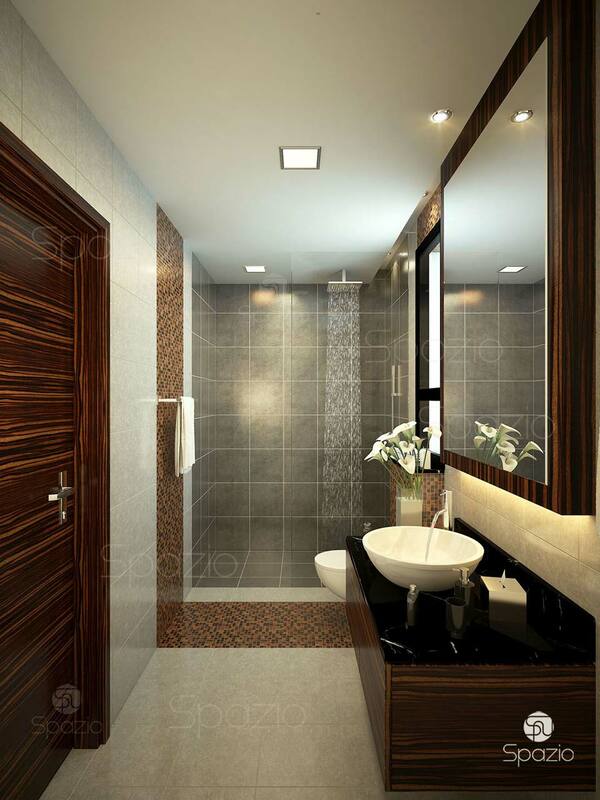 Entrust creating the interior design of your bathroom to professional designers of Spazio. 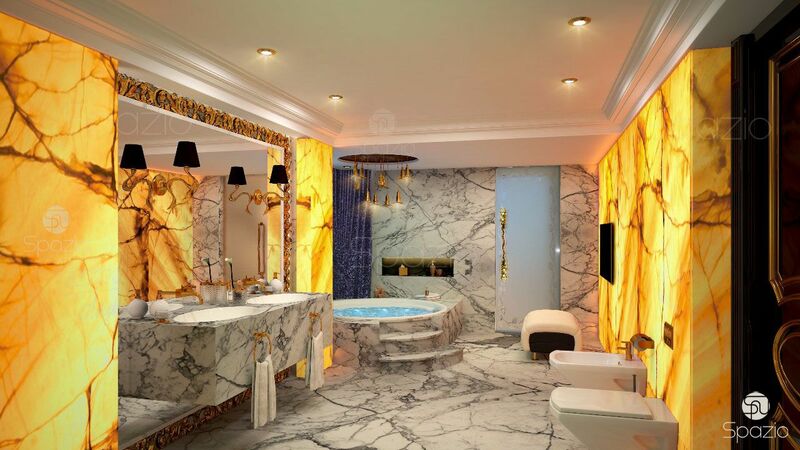 Entering the spacious bathroom, decorated with granite or modern marble, you will immediately feel like a king or a queen. 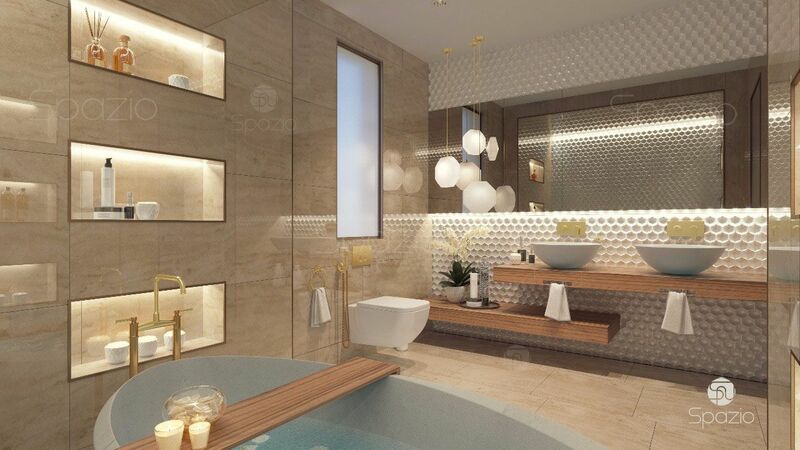 On an area of 15-30 square meters we can arrange an unusual shape marble bath, a large mirror, comfortable pouffe. Convenience and beauty will fill the room. 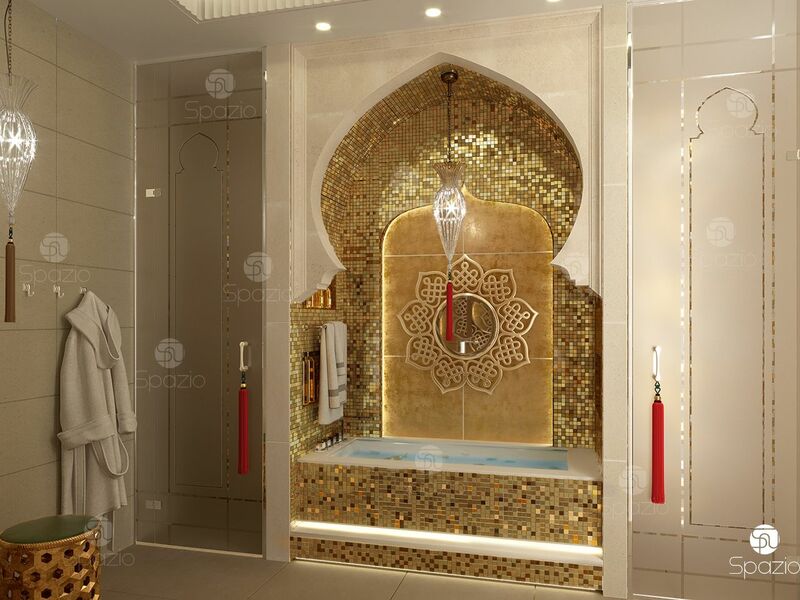 Spazio specializes in the interiors of palaces, luxury villas, large apartments. 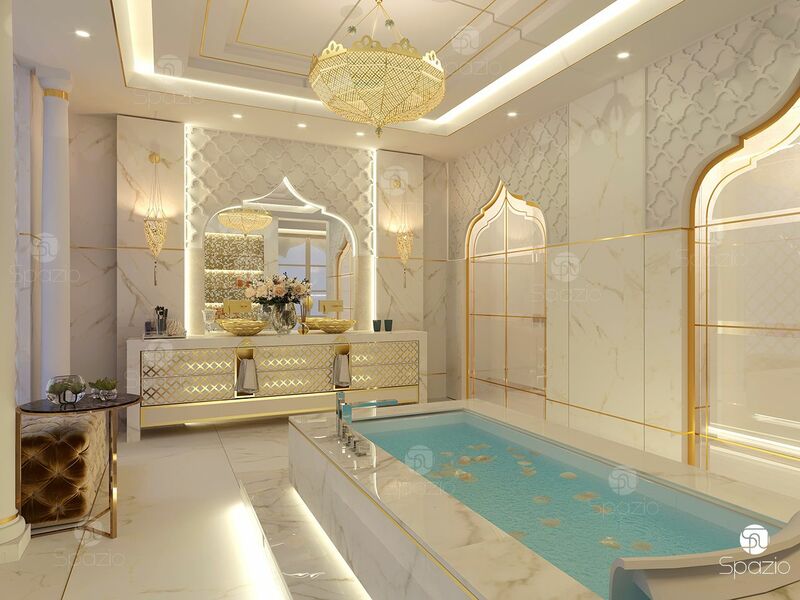 We have extensive experience of 7 years in creating interior design for master bathrooms in Dubai and other cities of the UAE. Each of our clients receives a high-level service. We will create 3D visualizations, you will be able to see all the details before starting the execution. Also, a full set of document will be created to perform the fit out works. Your bathroom will be excellent. The drawings, plans and selections created by Spazio will speed up execution and lower its cost. 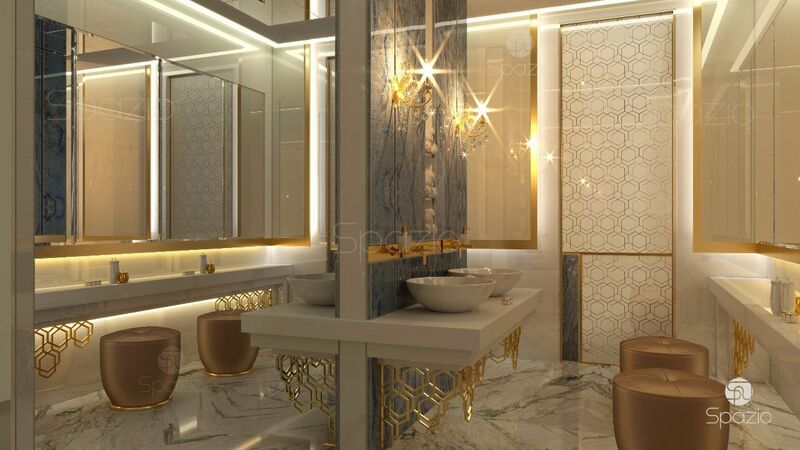 The team of our interior designers creates bathrooms in different styles. From a luxurious palace style to modern American and restrained minimalism. We use zoning with different types of materials, partitions and podiums. The main accent is on the quality and combination of materials, as well as patterns. Our designers and architects are highly professional. We attend world exhibitions, we study the best experience in the design world. The designs created by us have the decor, equipment and furniture of the best companies in the world. Also we offer to our clients to create unique pieces of decor and furniture. Our designers and technologists create exellent unique items for a specific client. Your interior will be exactly as you want and unique. Another benefit it is a lower price. Spazio Group has its own factories, and we also work with other local masters and high-level factories. 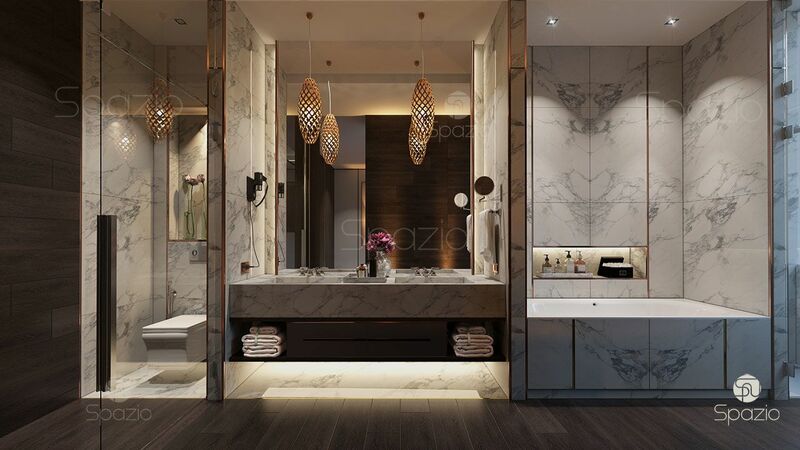 Entrust the interior design of your master bathroom and the entire house to Spazio designers.